The kids will be out of school soon and you want to keep them from being bored and playing video games. Here are my top 10 favorite freebies and low cost activies that you can do in the Dayton area this summer for keeping the kids busy learning and staying cool this summer. Sign the kids up for Kids Skate Free. Right now, Skateworld of Kettering is the only local skating rink participating in this program. Each child will receive 2 Free Skating Passes each week through email each Mondays. This program is actually available all year long and we have been doing this for 2 years. Go see a Movie. During the summer, you take the kids to see a free movie through out the summer. Last year, Rave Movie and the Danbury offered this program. I will update as soon as they release the lineup this year. Also, Rave Motion Pictures offeres $5 Discount Days where you can see a first run movie for only $5. However, you can head to the Danbarry Dollar Saver on Bargain Tuesdays for $1.75 admission and can enjoy a 3D movie for only $2 more. Sign up for the Kids Bowl Free program. Kids can bowl 2 Free Games every day this summer. Just sign-up the kids and you will receive your passes each week on Sunday. There are several bowling centers participating in this program in the Dayton area. 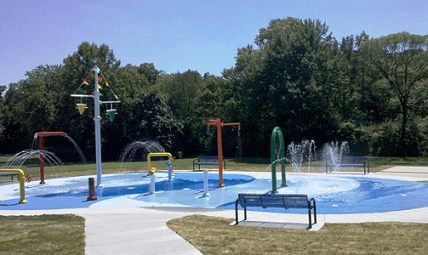 Visit a Splash Pad to stay cool this summer. There are several places to get wet and play in the fountains, get drenched with a water bucket and laugh the day away. Spend the day at one of the Five River MetroParks. ThesThey include 20 parks in the Dayton area which are perfect for to take the kids for the afternoon of exploring, hiking, fishing and more. Be sure to pack a lunch to make a day out of it. Also, check out free programs that will be held all summer long. Get a Membership at the Boonshoft Museum of Discovery. This is a great place to take the kids to learn Science in a fun environment. Admission for Adults is $12 Seniors $10, Kids ( 2-12)-$9 and Under 2 are Free. However, Family Memberships start $85 and Military Memberships start at $75 and which also include free admission to the Sunwatch Indian Villiage, and Fort Ancient in Oregonia, OH. Also, you will receive Free admission to the Cincinnati Museum of Natural History and Science. However, you can visit COSI in Columbus, Columbus Zoo and the Cincinnati Zoo for Half Price Admission. They have a picnic tables and vending machines on site. If you would like to get outdoors, be sure to visit one of my favorite metroparks, Wegerzyn Gardens. They have some great free programs scheduled too. Spend the day at the National Museum of the US Air Force. This is a great place to learn the history of aviation and the planes that have been used during all of the major wars. Be sure to check out all of the hands on activities in the Space Hall of Fame, especially trying to land the plane on the aircraft carrier. Get your picture in a space suit and try your skills out as a traffic controller. Right now, the Air Force Museum is Free to all visitors. You can pack a lunch and eat outside on picnic tables or upstairs in the cafe. You can purchase food if you would like as well. Learn Art History at the Dayton Art Institute. The Dayton Art Institute is a gem near Downtown Dayton. As you walk into the rotunda, you are amazed by its beauty and this place is a personal favorite of mine. They have art from the American, African, Asian, Photography and so much more. You can spend hours walking through the quiet halls looking at all the beautiful artwork. You can even see Monet's Waterlilies on display when you visit, which is my favorite. They have the Experiencenter for the kids. They can touch, play, and experience art in this space. The museum is Free. However, they do have suggested ticket prices for Adults-$8, Seniors and Students-$5, Kids under 17 are Free. Special exhibits do have an admission fee and will include admission to the permanent collection. Family Memberships start at $70 and include recipicol benefits to 15 other Ohio Art Museums along with 500 Nationwide. It includes the Cincinnati Art Museum and the Columbus Museum of Art. Great ideas! I didn’t know about the free movies. Thanks! Amy, You are welcome. I will be updating as soon as I get all of the information within the next few weeks. My kids would love to have their pictures taken in a space suit! 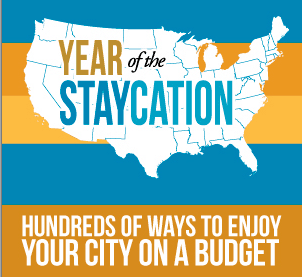 Looks like a great list to explore all summer long. You missed one of my favorites; Learning Tree Farm. Located west of Dayton, less than a quarter mile South of Dayton-Farmersville/Union Rd intersection, it is must for families. Drop in honor fee for visitors it $3.00 per person or $10 per family/group. There are farm animals, two barns, a chicken run, pastures, fields, woods, trails (with a surprise tire swing everyone should try, picnic shelter and play area with Vintage tractor and playhouse. Bring drinking WATER- there is no outdoor plumbing, but there are two portajohns.